There will be five inductees to the Hall of Fame this summer in Cooperstown. Unlike the last time I watched election results come in, the recent announcement that Jeff Bagwell, Tim Raines and Ivan Rodriguez received enough votes to make them Hall of Famers brought a smile to my face. I'm not thrilled with, nor do I fully understand, the inclusion of former Commissioner Bud Selig in this year's class. Rounding out the five inductees this year is former Braves General Manager John Schuerholz. Each year when the new class is announced, I like to check my Phillies baseball card collection to see if any of the new Hall of Famers are represented. I have no cards of Selig or Schuerholz in my collection, but I do have cards of the three players elected. 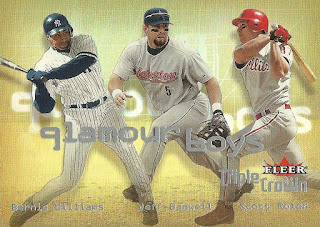 I only have one card of the Astros great in my collection and it's from the strangely titled Glamour Boys insert set from 2001 Fleer Triple Crown. Raines appears on two different Topps Rub Downs in 1984 and 1985 that also happen to have Mike Schmidt on them. 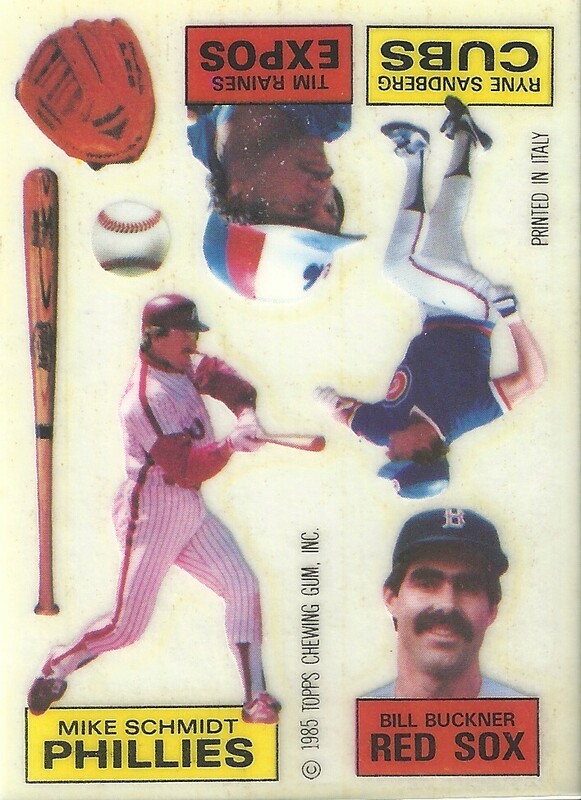 He's also on a Doubles & Triples Superstar Special card with Juan Samuel in the 1987 Fleer set. 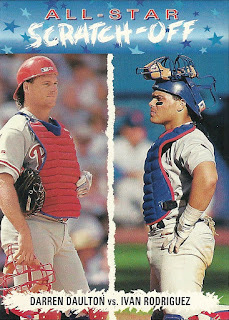 The Pudge cards in my Phillies collection come courtesy of Darren Daulton's big year in 1992. I have four insert cards from 1993 featuring this catching tandem, and another card from the 1995 Donruss Dominators insert set.